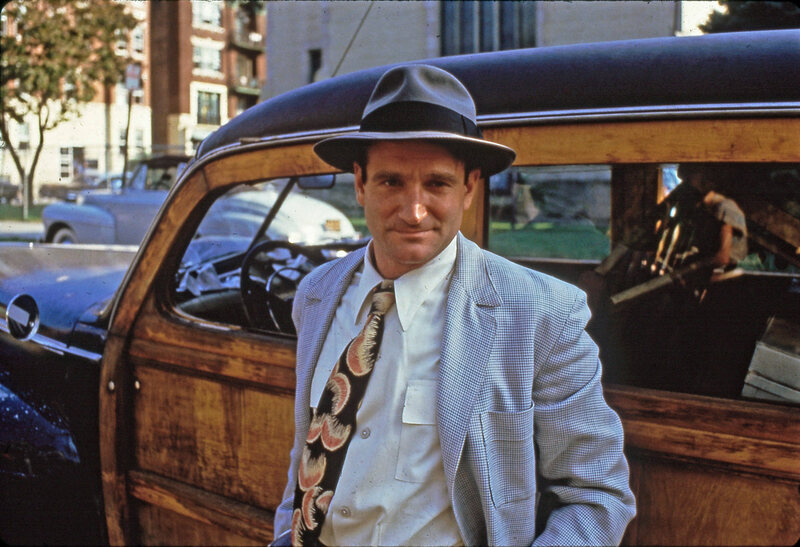 Robin Williams in “Seize the Day.” Photo by Jim Anderson. Great Performances mourns the passing of the immensely talented comedian and actor Robin Williams, who brought his distinct unbridled passion to every performance. Williams will always be remembered from his television debut as the alien “Mork from Ork” in the smash network hit Mork & Mindy as well as his wonderful performances, both comic and dramatic, in films such as The World According to Garp (1982), Good Morning, Vietnam (1987), Dead Poets Society (1989), Awakenings (1990), Aladdin (1992), Mrs. Doubtfire (1993), and Good Will Hunting (1997) for which he won the Academy Award for Best Supporting Actor. We are especially proud that Great Performances provided Williams’ with his first serious dramatic showcase in the 1987 adaptation of Saul Bellow’s Seize The Day. In 2009, Williams was also featured in Make ‘Em Laugh: The Funny Business of America, the six-part miniseries on comedy in America co-produced by Ghost Light Films and THIRTEEN/WNET New York. Next Post A New Design for Great Performances!